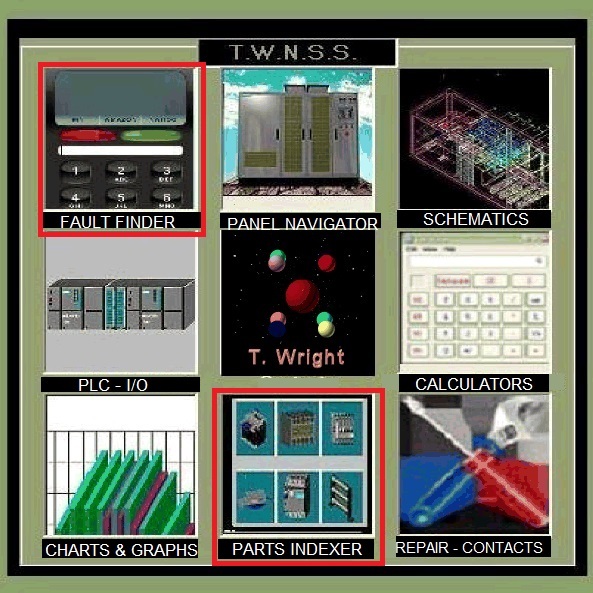 THIS IS MY "IGBT FAULT DIAGNOSTIC SYSTEM"
THIS WAS DESIGNED IN THE YEAR 1996. I ALSO DESIGNED THE SPECIFICATIONS OF THE "FAULT DIAGNOSTIC" COMPUTER HARDWARE , INSTALLATION, CONFIGURATION OF HARDWARE AND SOFTWARE AND PERFORMED THE TRAINING OF COMMISSIONING ENGINEERS IN ITS USE. FAULT FINDER- THE FAULT FINDER: CAPABLE OF ALLOWING THE USER TO INPUT A FAULT CODE AND GET ALL RELEVANT INFORMATION ON REPAIRS. *! PANEL NAVIGATOR - THE PANEL NAVIGATOR: DESIGNED TO ALLOW THE USER THE VISUALLY NAVIGATE THE CONTROL SYSTEM IN A WYYSIWYG MANNER . SO KNOWING LITTLE ABOUT THE COMPNENTS A USER WAS ABLE TO FIND COMPONENTS AND IDENTIFY THEM . *!